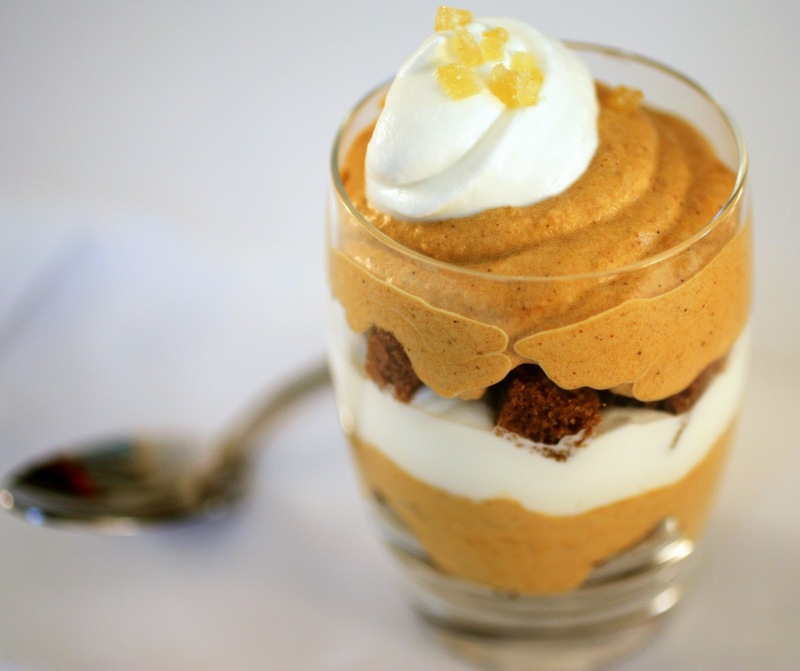 Parfaits—cut the gingerbread into ½-inch cubes and layer it with the mousse and some sweetened cream in parfait glasses. 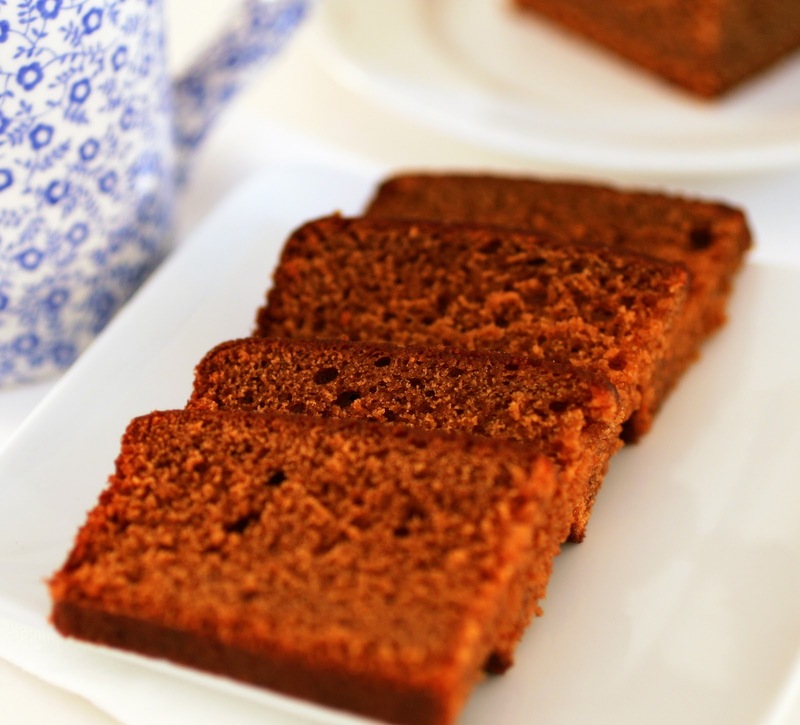 The Gingerbread Cake is also excellent on its own, served with a cup of strong black tea. 1. 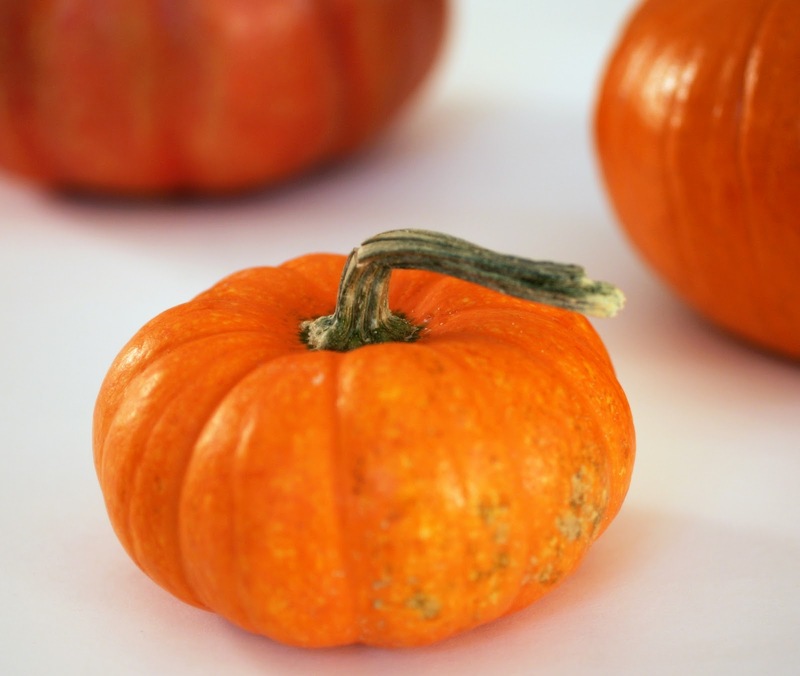 Place the pumpkin puree in the bowl of a food processor and process as you gradually add ¾ cup of the cream. Process just until smooth. Transfer to a saucepan and stir in the sugars and the spices. Add the rum and butter. Cook over medium heat, stirring frequently, until the butter melts and the mixture is heated through. In a bowl, whisk together the yolks until blended. Whisk about ½ cup of the hot pumpkin mixture into the yolks. Return this to the remaining pumpkin mixture and cook over medium heat, whisking constantly, until slightly thickened. Transfer to a bowl and place the bowl in another bowl of ice water. Let stand, stirring occasionally, until cold. 2. Whip the remaining 1 1/4 cups of cream to soft peaks and fold it into the pumpkin mixture. 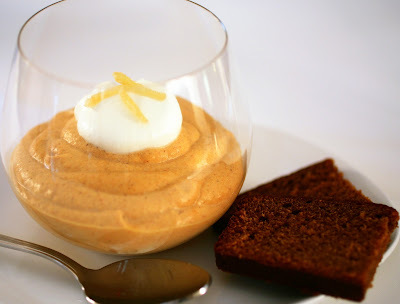 Spoon mousse into serving glasses and refrigerate until ready to serve. 1. Position a rack in the center of the oven and preheat the oven to 325°F. Grease the bottom and sides of a 9-inch square baking pan. Dust the pan with flour, tapping out the excess. 2. Sift the flour, baking powder, baking soda, ground ginger, cinnamon, nutmeg, cloves, and salt into a medium bowl. Whisk to combine well. 3. In the bowl of an electric mixer, using the paddle attachment, beat the butter at medium speed until creamy, about 1 minute. Gradually add the sugar and beat at medium-high speed until light, about 2 minutes, scraping down the sides of the bowl as necessary. Beat in the egg and egg yolk, one at a time, beating well after each addition and scraping down the bowl as necessary. Beat in the sour cream, vanilla extract and grated ginger. Add the molasses and beat for another minute. Add the dry ingredients at low speed, mixing just until blended. Carefully add the hot water (it may splash up as you add it) and beat until the mixture is smooth, scraping down the sides and bottom of the bowl as necessary (the batter will be thin). 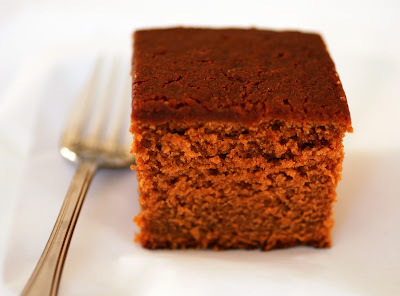 Pour the batter into the prepared pan and bake for 50 to 60 minutes, or until a toothpick inserted into the center of the cake comes out clean. Place the pan on a wire rack and cool. The cake may be served warm or at room temperature. Cut the cake into squares directly from the pan.